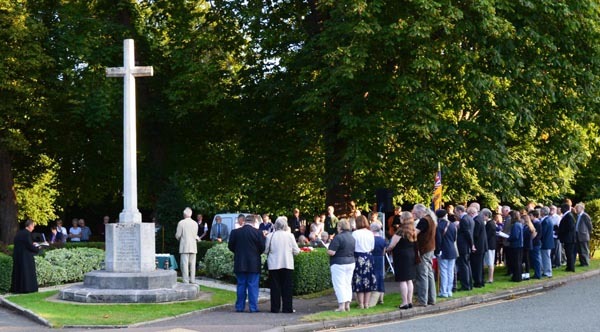 There was a Vigil Service held at the War Memorial, Great Shelford on the evening of Sun. 3rd Aug. The service used material taken from the National commemoration led by the local ministers. Families whose relatives died in the conflict were specially invited to take part. Over 150 people attended on a perfect evening of summer weather. A Vigil Service is a reflective evening service of readings and prayers in which we bring our sorrows, confusion and longings as we pray for the dawning of God’s mercy, protection and peace. On this occasion we recalled those who waited, some in fear, others flushed with excitement of an impending battle, the news of the declaration of war.